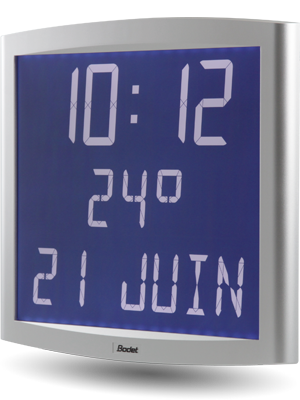 Bodet has developed a wide range of clocks combining aesthetics, quality and technological innovation to offer products tailored to your needs. 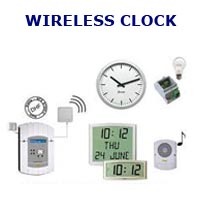 Today, our range includes clocks for interior and exterior, analog clocks, LCD and LED. All of these clocks can be synchronized by a master clock that the pilot by time distribution systems. All our products are manufactured in France, in our factory in Trémentines (Maine-et-Loire) to preserve quality. 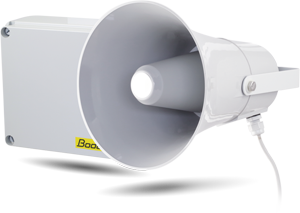 Bodet team all types of businesses and communities: school buildings, businesses, factories, transport, hospitals, administrative buildings or banks. Among our references in Belgium include the Midi station equipment in Brussels Airport Zaventem, and that of the Brussels Metro. Bodet is therefore a reference in Belgium and Europe in the field of watchmaking and time display. These decorative wood clocks are available in standalone or controlled by master clock. Several versions with a height of up to +5 12 cm. Models for indoor and outdoor (Style 12). Viewing time from March to June cities to choose from. large models with a height of 15 to 45 cm digits. Display: hours, minutes, date, second (LED HMS). 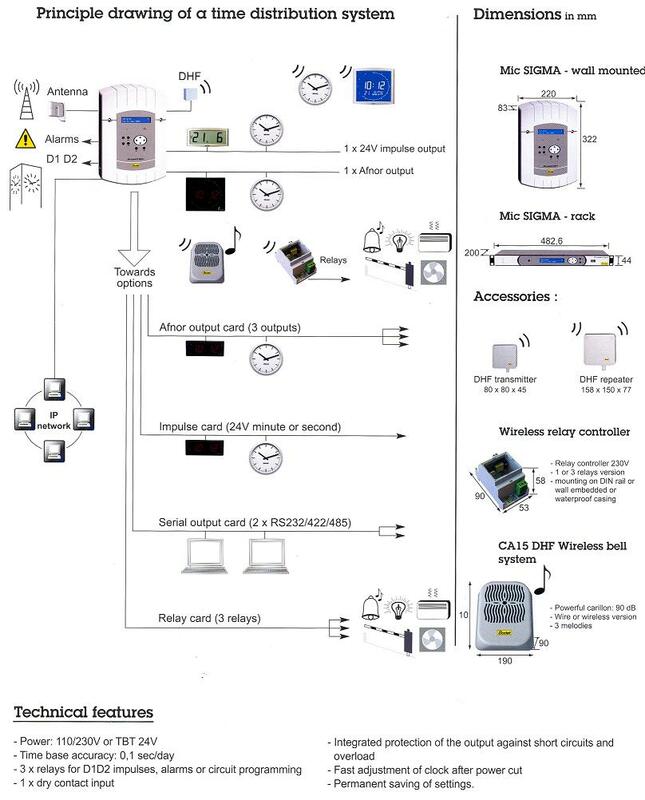 Setting the clock by remote control or PC. Models for indoor or outdoor. 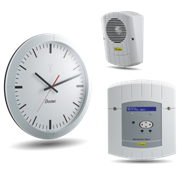 Our clocks integrate seamlessly regardless of the environment: reception hall, offices, workshops, schools … The clocks with radio movement FI, DHF, AFNOR or NTP, have control of the hand position and ensure setting the automatic time. 3 dial dimensions: diameter of 30, 40 and 60 cm. 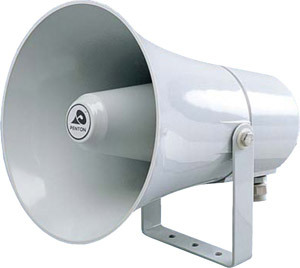 4 casing colors: white, black, metal, aluminum. Hands: hours – minutes or hours – minutes and seconds. Dial Marking: figures, DIN or traits. 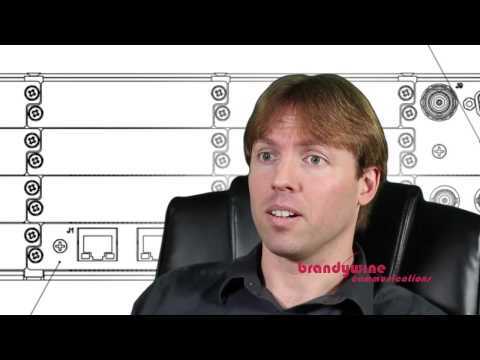 Synchronization: independent (quartz), radio, impulse, AFNOR, NTP and without DHF wire. Customizing the clock with your logo on request (contact us). For the interior:reception halls, offices, workshops, corridors, schools, hospitals, administrative buildings.